Many decisions are made by courts and tribunals each day. The decisions that are made, transcribed and released are called judgments. Not all decisions made by the court are released as written judgments. The Supreme Court of Victoria Library is responsible for publishing Victorian Supreme Court and Victorian Court of Appeal judgments. Judgments are accessible via the Law Library of Victoria website and catalogue. Use the search form at the top of the page to locate judgments by judge, party, or citation. 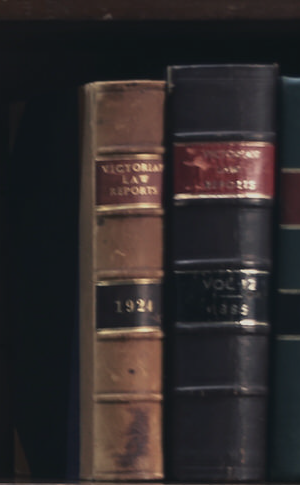 Supreme Court judgments, as well as judgments for other Victorian courts and tribunals are also accessible via free online databases such as AustLII and Jade. Australian federal court judgments can be accessed via their respective websites. These judgments, as well as judgments for other Commonwealth and State courts and tribunals are also accessible from their websites and also from free online databases such as AustLII and Jade. For more information about judgments and the conventions for citing them, see the Australian Guide to Legal Citation (published by the University of Melbourne) and the Court Cases in Australia Guide (published by the State Library of Victoria).